Circular outline. Circular, deep discus has central filling hole with recessed raised rim, rays, and narrow rounded framing ring; small for airhole at front. 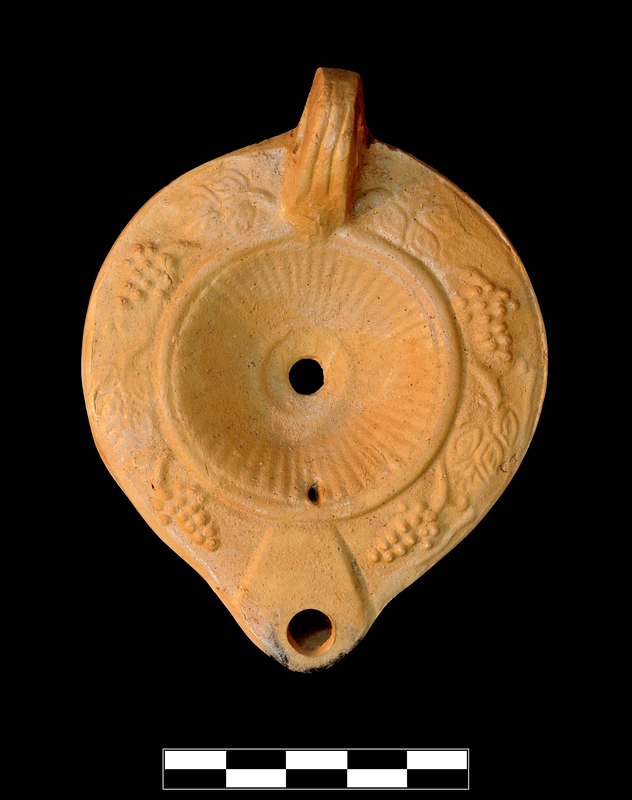 Flat shoulder with grapevine motif showing two sprays and two grape clusters per side. Details are blunt. 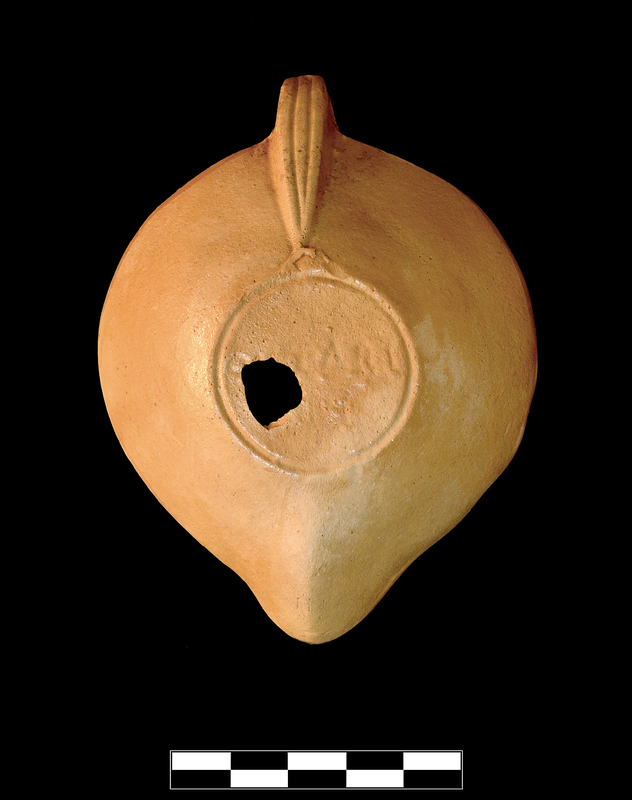 Kite-shaped nozzle with small wickhole; traces of burning. Pierced ring handle with to grooves attaches over framing ring of discus, with clay blob attached to juncture, and extends in point almost to base-groove. Circular, flat base has single groove around incuse signature ΟΚΤΑΒΙ|ΟΥ. Details are blunt. Numerous clay nodules. 7.5YR 7/6 reddish yellow. Early/Middle Roman Corinthian lamp fabric: reddish tinge, platy fracture. Intact except small hole in base. Well preserved surface but very sparse granular encrustation.